Posted on January 31, 2019 by K. A.
Dimensions: 8.3 x 7.5 x 2.5 cm at widest points. No online listing is available. My store had these in a basket by the counters, right where you queue up to pay. Posted on December 26, 2018 by K. A. 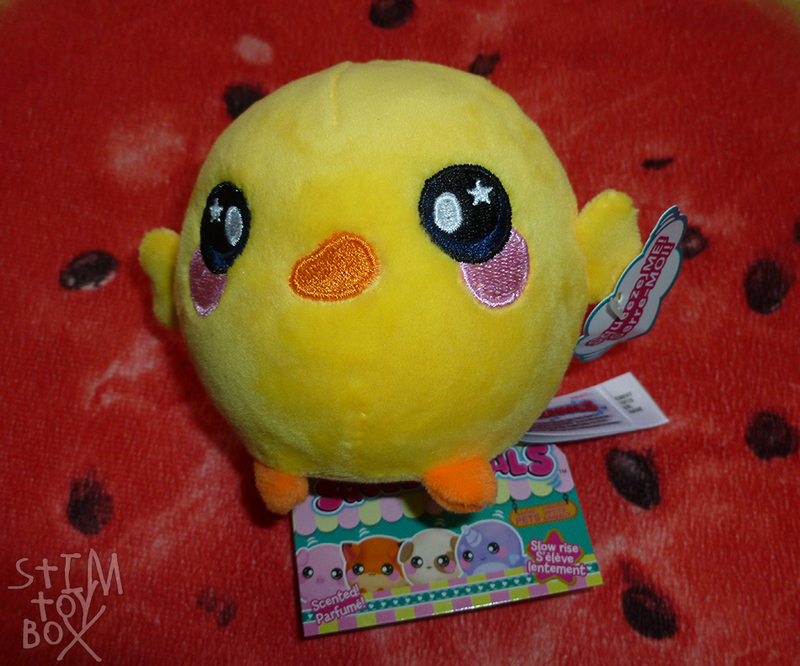 Price: $9 AUD for the full-size plush. Dimensions: approximately 10.5 cm across. This is a combination plush toy and squishy–a squishable foam core inside a plush animal skin. If you like squishable toys but don’t like the texture of foam/prefer the texture of minky plush, or you find that commercial foam squishies tear and wear too quickly for regular stimming, you may find the Squishimals worth the outlay. They are more expensive than many stim toys, but I do think they’re worth the price, as they’re not going to rip and tear under normal handling the way commercial foam squishies inevitably do. 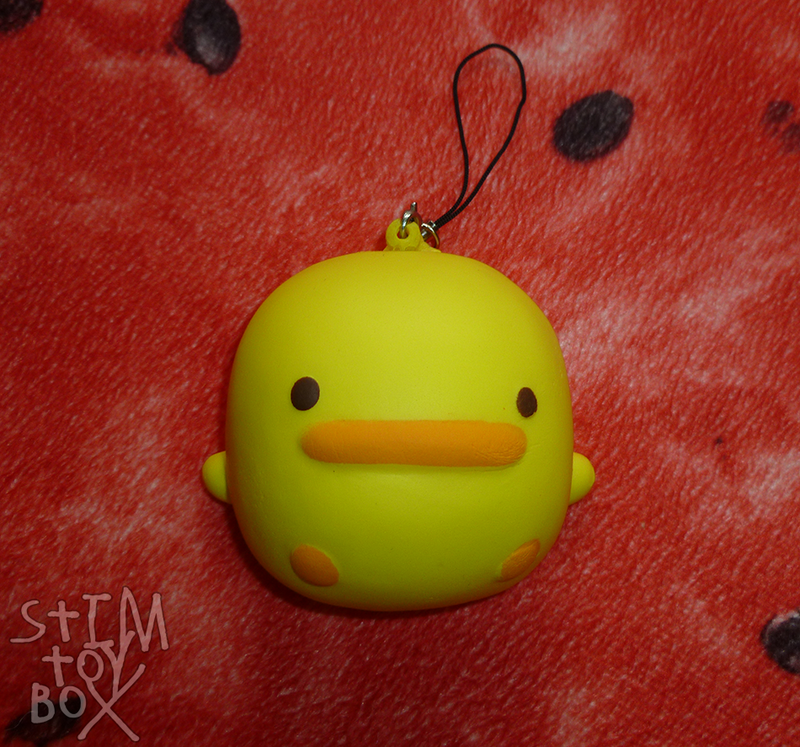 You can get clip-on bag-charm style Squishimals for $5 AUD, but they are a fair bit smaller. This size cups quite nicely in my hand–a little bit bigger than the standard apple squishy, a little bit smaller than the average jumbo squishy. They’re moderately slow-rising–nowhere near as slow as many good squishies, but they don’t bounce back immediately, either. Mine is very soft, made from a minky-style fleece, and the large embroidered textures add a nice texture. There’s also several seams because of the round shape, and while they’re not obtrusive, they also provide texture for stroking. Because of the shape, they can also be tossed from hand to hand. I really do like how this toy combines the best features of a plush toy, squishy and stress ball in one! I have two drawbacks for the Squishimals. The first is that they’re denser and firmer than most squishies–somewhere between a squishy and a regular stress ball. They’re not too rough on my hands, but they’re not quite as gentle as a regular squishy. (For many, though, this may be not be any kind of disadvantage.) The second is that they are scented in an oversweet, dreadfully artificial fragrance. It does fade: I’ve had my chick for two months now, and it only smells of anything if I hold it right up under my nose. When I first brought it home, though, I had it airing out in the sunroom for weeks, and while I dislike most artificial scents, this one repulsed me. I do think, if there’s somewhere safe for you to let the toy air out, that they’re worth persisting with, even for stimmers like me. 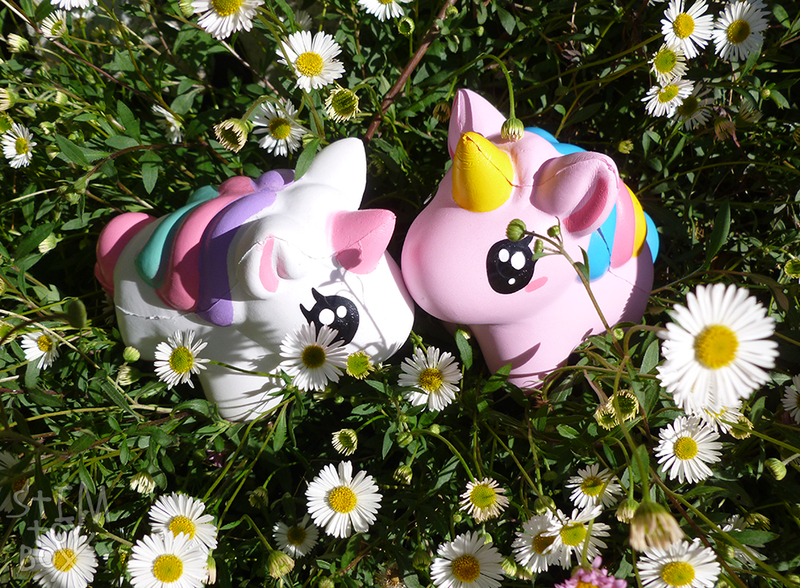 The combination of plush and squishy has been worth the difficulty of the smell. Originally posted on @stimtoybox on August 30, 2018. Posted on December 23, 2018 by K. A. Price: $2 AUD for 35 grams. No online listing is available, as normal for Lincraft. 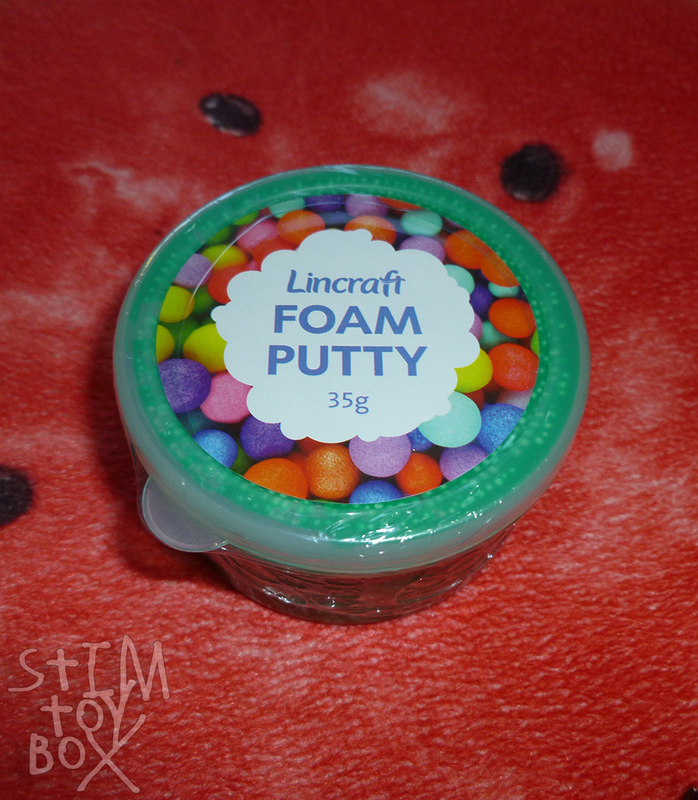 Lincraft has both floam and air-dry clay available in a wide range of bright colours for inexpensive prices, and I really like that this floam comes in a sturdy plastic easy-to-open tub. Seriously, the colour choices are fabulous. Red, blue, two kinds of purples, orange. Lots of lovely, bright colours. The container is fantastic: the lid peels off easily while having a tight, non-leaking seal, while the tub part of the container is made from a thick, sturdy plastic. I’m pretty sure that it’d take determination and intent to break this, making it ideal for stim-bag or backpack use. I wouldn’t worry about this cracking or leaking. Posted on December 22, 2018 by K. A.
I’m not reviewing Play-Doh as such here, as most will be pretty familiar with the product: brightly-coloured, squishable, mouldable, has an unmistakable scent. 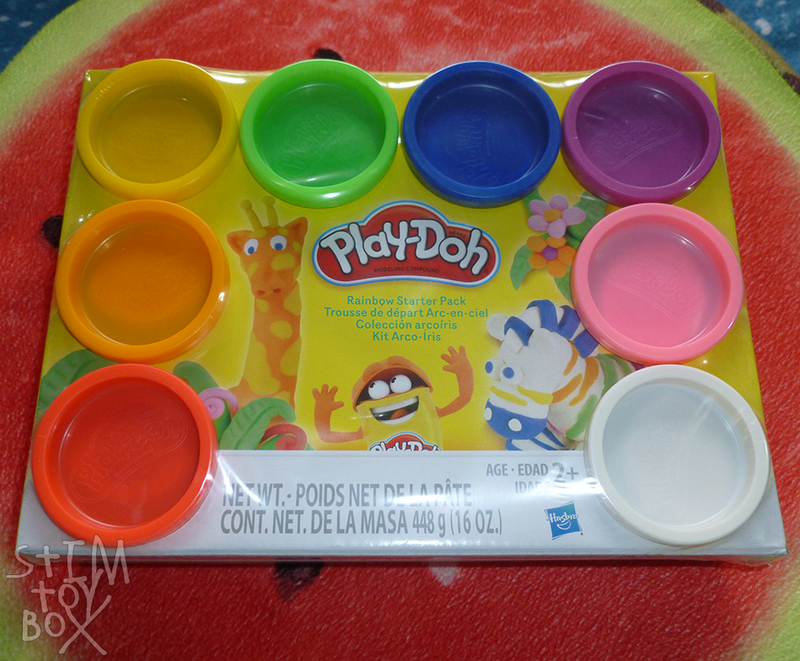 I was given the large selection of Play-Doh above as a birthday present (both the set of regular tubs in the second photo and the Starter Pack shown in the first photo) and I want to call people’s attention to this set of mini-sized tubs. Posted on December 21, 2018 by K. A.
Dimensions: 17 cm x 11 cm x 7 cm (approx). This was another birthday present from a friend of mine, @ambiguouspieces! I have to say that while I don’t love mangoes in real life, I adore this squishy. It’s so big! It completely overflows one hand when holding it and fits easily in both hands. If you want something that allows you to squish down on it with both hands being comfortably full of squishy, this. The smooth, rounded planes of the mango also fit very nicely in the cupped hand. I’ve come to really like it’s plainness. There’s no added texture here, no fancy colours, just a subtle opalescent finish, a curved shape and lots of bright orange. It’s one of the slowest-rising squishies I own, although the lack of decoration does make this aspect less interesting than on other squishies. Folks should note that this squishy is scented and does leave some scent on my hands, but–uncommonly for squishies–it’s a fruity, fairly non-chemical-type smell. Almost like peach, one of my favourite scents. It won’t work for anyone who can’t abide artificial scents, but I almost don’t mind it. Some squishies are great because they have added texture for stroking or have visual stim utility, but for simple squishing, this has become my new favourite. I can’t quite explain just how good this feels in the hand, so I’ll just say it’s on my chest of drawers with all my other favourite stim toys, easily grabbed from desk or bed. For a simple squishy, I really do recommend it. * Note: because this was a present, I have no way of knowing the actual seller or the price paid for it, so I’m finding a listing that’s as close to what I have as possible. Originally posted on @stimtoybox on September 6, 2018. Posted on December 20, 2018 by K. A. Another one of my birthday squishies is this cute little duck bun/cake. 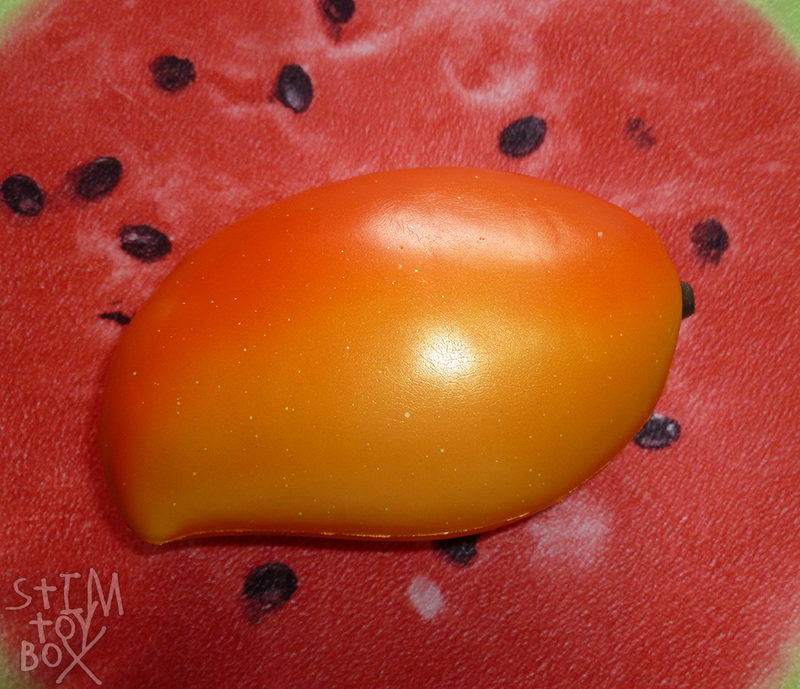 It has a flat back with texturing designed to mimic the rougher surface of a cake or bread, spray-painted orange with some white paint showing. This is the second one I’ve had, and there is some variation in the brightness of the yellow/orange colouring and the softness of the squishy. 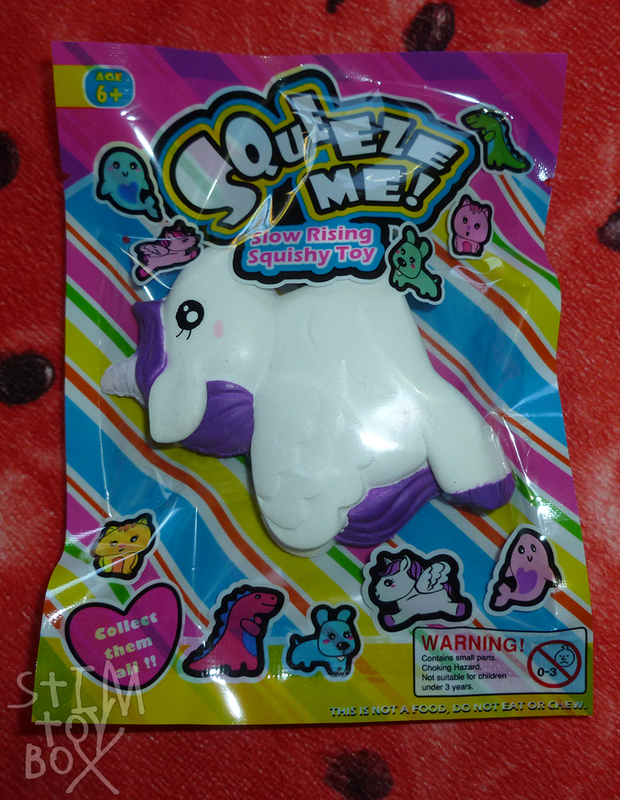 This particular one is the softest squishy I’ve ever had–it’s so foamy and light! Like shaving cream were it made into a squishy, somehow! The first one was much denser and duller in colouring, though, so I think it might be a bit of luck depending on what you get. As with all off-brand squishies, there’s a fair bit of quality variation. Both of mine were scented, but not too strongly, with a sweet bread-like smell. If you’re willing to take the risk, I really do recommend this. It’s so soft, cute and sized well as a bag charm. * Both of mine have been gifts, so I can’t recommend a specific seller. Originally posted on @stimtoybox on September 9, 2018. Posted on December 19, 2018 by K. A. Price: $10 AUD on Cool Things Australia and $8.95 AUD on Toy Shop Online. The Tumblr posts links to Sister Sensory, but these squishies are no longer available there. Dimensions: 12.5 x 10 x 5 cm. These were another gift from @ambiguouspieces! I understand that these were purchased from a local pharmacy, but they’re available at the above links as well as at a variety of online vendors. Just do a search for the brand-name “Smooshos”!